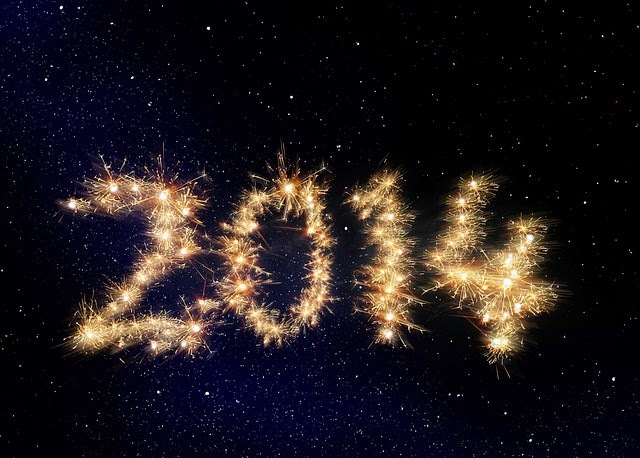 Watching Wikipedia: #Edit2014 is an interesting way to take a look back at 2014. The video is a series of screenshots of pages added to and frequently edited on Wikipedia in 2014. Much like looking at Google's video of popular searches, watching Wikipedia: #Edit2014 reminds us of the popular news topics that trended throughout the year. After watching the video ask your students how many of these stories they remember. Then have them look at the Wikipedia entries to see what they would add or edit on the pages for the topics appearing in the video. This year Google's Santa Tracker website has a neat feature about Christmas traditions around the world. The Christmas Traditions map features the traditions of seventeen locations spread across North America, South America, Europe, Asia, Australia, New Zealand, and Africa. Click a placemark on the map to read a short summary of a tradition in that location. Google currently offers a selection of lesson plans based on the Christmas Traditions map. If those lesson plans don't fit your needs you might consider having students create their own holiday traditions maps on Google My Maps. Click here to find three video tutorials on creating maps through Google My Maps. 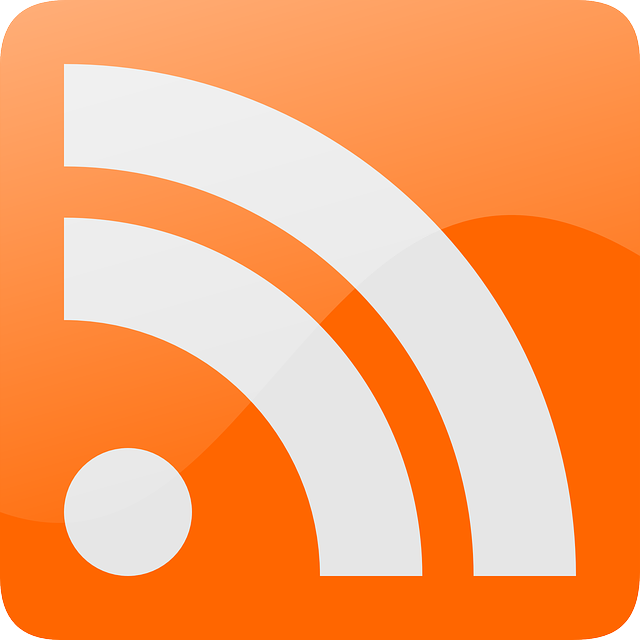 About a month ago a couple of things changed with FeedBlitz (the service that I use to publish my RSS feed). First, if you have been syndicating my feed (which I encourage) through a widget on my blog or website, you will need to update to this feed address http://feeds.feedblitz.com/freetech4teachers&x=1 unbeknownst to me the old syndication feed stopped working. Second, if you previously subscribed to the old FeedBurner feed, you may need to re-subcribe here if you haven't been seeing updates lately. Of course, if you want to subscribe via email you can still do that here. Earlier this morning I received an email from a subscriber to the PracticalEdTech.com newsletter. She was looking for suggestions on programming apps. One that came mind immediately is Scratch Jr. Scratch Jr. is based on the popular online Scratch program in which students can learn to program. 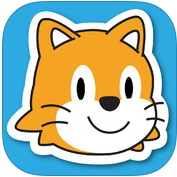 Scratch Jr for iPad uses the same drag and drop programming principles used in Scratch. 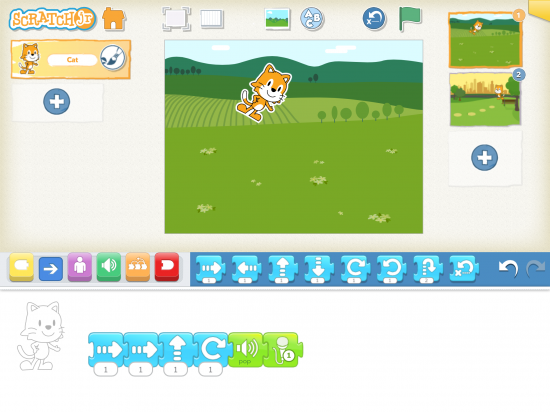 On Scratch Jr students can program multimedia stories and games. Check out the ScratchED community for great examples of teachers using Scratch in their classrooms. 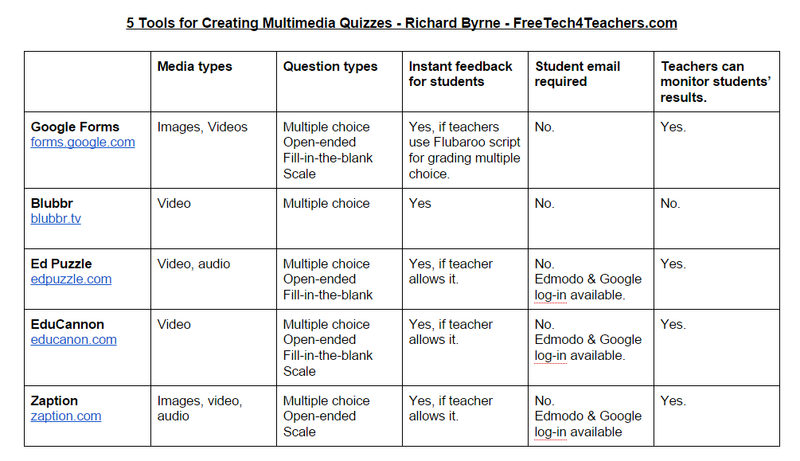 There are plenty of online tools for creating multimedia quizzes and flipped lessons. I am frequently asked for recommendations for "the best" one. I'm partial to using Google Forms to create multimedia quizzes, but there are others worth trying too. The chart embedded below provides an overview of the key features of five popular tools for creating multimedia quizzes and flipped lessons. You can also get a Google Docs version of the chart by clicking here.